Like many of you, I have a full-time day job. On weekdays, I wake up at around 6.30am and have my breakfast before I wash up and get ready for work. If I have a morning workout session, I would at least have a toast and an apple. And after workout, I would replenish with a smoothie or a bowl of oatmeal… Occasionally, I go for fasted runs on weekend mornings. I will feel really lethargic without breakfast so I can’t really function with an empty stomach. Having this first meal is very important for me to kick start the day. 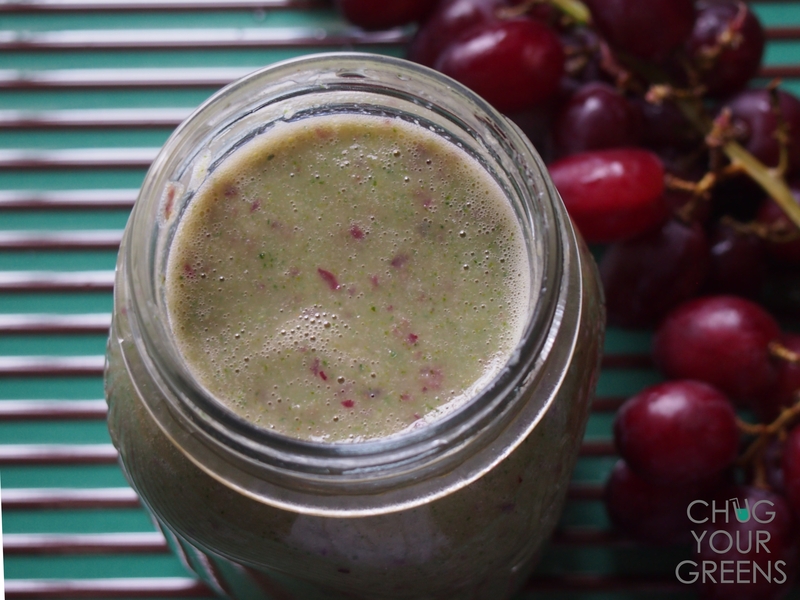 So in this post… I’m introducing a Green Smoothie that is perfect for a busy weekday morning! When you are in a hurry, you need to be quick with preparations. So if possible, you might want to use all organic ingredients so you can save more time (less washing). You can also use Carton Orange Juice instead of juicing it. I prefer fresh juices personally. Broccoli is a great alternative to the leafy greens that we usually use, and all you have to do is to break off the florets. You probably won’t have a lot of time to peel and core fruits. So, using Seedless Grapes saves you even more time! This entire process will probably take you less than 10mins and you get a hearty, delicious and nutritious drink before you hit the roads! In general, for weekday breakfast smoothies, I would use bananas, blueberries, strawberries etc. These are fruits that I can easily wash and throw into the blender. Best for crazy mornings! Let’s start the brand new week right with a punch of good health! And you can blend this for next Monday morning to chase away the Monday blues! PERFECT for my new diet! Thanks. 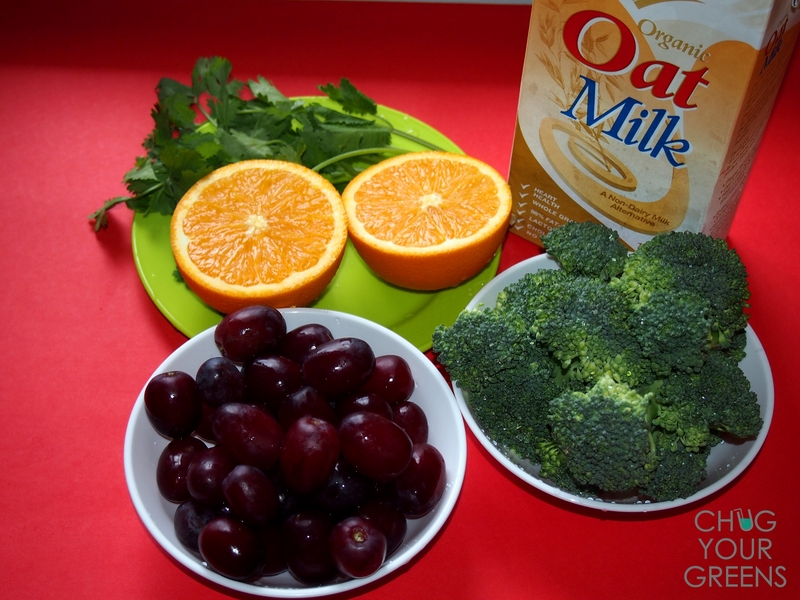 I haven’t tried broccoli in a sweet smoothie – just raw soups! I’ll have to try it when get broccoli back at the coop.